Zoot Ultra Tempo 6.0 Review - To Buy or Not in Apr 2019? While some users worried about the durability of the shoe, most raved about how comfortable it was to wear. The shoe is geared towards triathletes and can be worn without socks because of its no-seam interior. The seam-free inside means that runners don’t need to worry so much about blisters. Though it sounds cliche, many runners said the shoe truly fit like a glove. It slips on easily because of its Quick-Lace system. Runners don’t need to fiddle with their laces any longer. They can jaunt out the door quickly with this shoe. They can also run in all types of wet weather. The shoe wicks moisture like a charm and even has drainage holes in its outsole. The Zoot Ultra is a great choice for a runner looking for a versatile shoe. It offers light support in a lightweight package. Fits like a glove - being built as a triathlon shoe it slips on easily and most wearers mentioned that comfort was its best asset. Quick drying - the patented TriDry technology enables the shoe to wick moisture very effectively. Perfect for wet conditions or use in triathlons. Pricing is a little high for a shoe that offers basic support and lighter and perhaps less durable. Lack of durability - some wearers noted that durability was sacrificed for flexibility and a lighter-feel. Extra toe room needed for some runners. The outsole features what is called a ZPU pattern. This grip pattern helps the shoe with traction while running on roads. In the heel, you’ll find a hard rubber that helps to soften the impact. The Zbound technology in the outsole allows for a responsive feel on the pavement despite the shoe having some amount of cushioning. The heel is well cushioned, thus the shoe is most definitely well suited for heel strikers. Forefoot strikers might shy away from the Zoot due to most of the cushioning being in the heel. The shoe fits quite nicely, very much like a glove. A quick-lacing system offers users a speedy option for users to snap on their shoes. The quick-lace feature is great for triathletes but may also prove useful for runners who find themselves lazily pulling their shoes off after a long run. A soft fabric makes putting on the Zoot Ultra Tempo 6.0 so comfortable. The shoe’s textile components are made up of materials that wick moisture very effectively. This makes for a shoe that dries quickly after being exposed to wet conditions and keeps the runner’s feet dry. The Zoot Ultra Tempo 6.0 keeps a runner’s feet free from blisters thanks in great part to this quick-drying ability. The shoe also features a heel loop for quick pull on and off of the shoes, perfect for saving time during a triathlon race. The shoe is lightweight, making it a perfect option for racing or speedwork. It weighs in at 255 g (M) and 240g (F). Compare that to some other triathlon running shoes and it compares quite well. The Zoot Ultra Tempo 6.0 is extremely breathable thanks to its quick-drying upper. The sole of the shoe actually showcases drainage holes for excess water to flow through. A smart addition for a shoe geared towards triathletes. The shoe’s fabric features TriDry technology which is what allows for its quick wicking abilities, allowing runners to enjoy their runs without soaking wet feet. Most runners found the shoe very comfortable. Though some comments about needing extra toe room were noted. Moving up a half-size was recommended for runners who prefer a bit of extra room for their toes or those who prefer to wear socks. However, the shoes are meant to be worn sockless as they feature a no-seam construction which is preferred for those prone to blisters. It means less chance for friction inside of the shoe. The Zoot comes in a variety of funky colors for the runner or triathlete who prefers to stand out a little. The colors are invariably bright and there is always at least a hint of neon involved. These shoes are good looking and won’t be missed at the transition point of a triathlon. You’ll be sure to spot your pair before you even spot your bike. Unfortunately, because of the lightweight and flexible construction of the shoe, it’s almost inevitable that this kind of shoe will last a little less long than a heavier shoe. Some runners have complained that the flexible outsole and breathable upper lasted less than 100 miles of running before finally succumbing to breakage or ripping. However, these runners are in the minority. It seems most have enjoyed miles of pounding pavement without issue. The Zoot definitely protects against a rainy day. Runners stepping in puddles or dealing with very wet weather will find that though the water gets in, their feet will dry very quickly. In addition, the outsole boasts a tough rubber heel that protects against excessive impact. The Zoot is bouncy and responsive, this makes it perfect for race day. It features Z-Bound, a proprietary Zoot technology that ensures a shoe feels highly cushioned and bouncy. Some runners did find that the shoe did need a breaking in period to get that responsive feel, but within a few uses, they were happy with the ground contact feeling of the shoe. Being so lightweight and flexible, it’s less a support shoe and more of a racing shoe. But the Zoot still finds itself lending support to runners in need of some stability. The shoe’s CarbonSpan+ technology found in the outsole gives stability and allows runners to get a responsive ride. When it comes to terrain, the Zoot is best used on pavement/roads. It does have great traction, but because of its durability issues mentioned previously, it would be wise to avoid too much trail or off-road running with these shoes. Some users have commented that the price is a bit too high for the type of shoe being sold. The shoe is priced fairly but it’s understandable to find the price a bit high if you see it as being solely a racing shoe. Questions of durability might also factor into the cost. The Zoot does a great job of gripping the road with its ZPU-lugs, features on its outsole. The lugs provide traction and safety for slow and fast runners alike. Again, the shoe is not meant for off-road of trail running, but it does offer general traction as other road shoes do. Already mentioned previously, the Zoot is quite a flexible shoe. As with most shoes, a bit of stiffness is to be expected upon first-wear. With a few runs, it becomes obvious that the Zoot is a flexible and responsive shoe that would be up for any race day conditions. For those who need a little bit of support and don’t want to give up a lightweight shoe, the Zoot is the perfect option. Finding this combination can sometimes be hard. The Zoot combines the two along with a multitude of other features. The heel to toe drop for both the men’s and women’s versions is 10mm. The Zoot is not a zero drop shoe by any means. Some runners found this unfortunate as they would have preferred a shoe closer to the ground, but the flexible nature of the shoe made up for the 10mm drop. The Zoot Ultra Tempo 6.0 is the perfect option for the runner or triathlete looking for a shoe that be worn during training or on race day. The shoe is also the perfect option for the runner seeking a shoe that offers a slight amount of support without sacrificing weight. Oftentimes, stability shoes are on the clunkier side, but the Zoot Ultra is lightweight, responsive and fits like a glass slipper. The shoe is breathable and wicks moisture very effectively. It even features drainage holes in its outsole. Its quick-lace system is an advantage for triathletes who wish to save time at transitions or even for runners who want to simplify their routines. 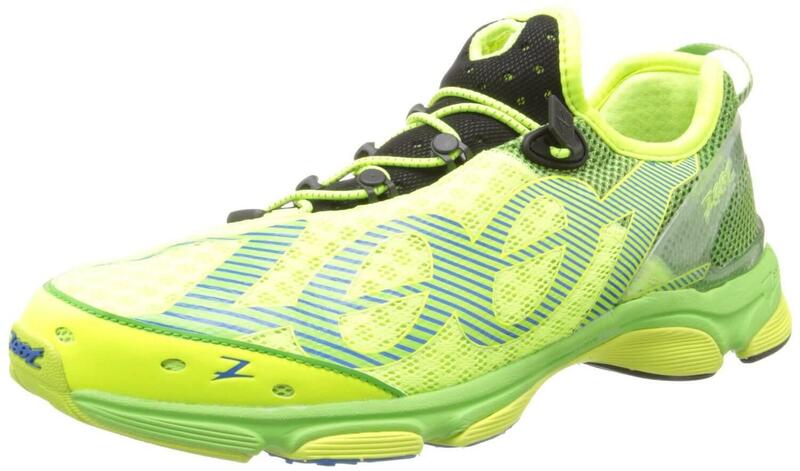 Anyone looking for a lightweight shoe to train or race in might want to look toward to the Zoot Ultra Tempo 6.0. While some runners raised questions about the shoe’s durability on rougher terrain, the shoe does boast a fairly tough rubber outsole. Most racing shoes do have a shorter shelf life than regular training shoes though, so its fair to be a bit wary about the higher price tag of these shoes.